As jazz and R&B great George Benson returns to the UK next year, Getintothis’ Shaun Ponsonby reminds us why this is a good thing. Legendary jazz and R&B star George Benson is preparing a UK tour next year, including an appearance at Liverpool’s Philharmonic Hall. The tour coincides with the release of The Ultimate Collection, a 2-disc, 36-track retrospective of Benson’s greatest hits and most fondly remembered work from 1971 up to today. As such, the show will celebrate Benson’s incredible five decade career. A child prodigy, Benson recorded his first single, She Makes Me Mad, for RCA at just 10 years old. By the mid-1960s he had released a number of jazz records and had been handpicked to provide guitar duties for none other than Miles Davis. One of the finest guitar players of his generation, most of Benson’s work has been largely instrumental. He remained one of the most popular players in jazz throughout the 1960’s and mid-70’s. However, in the mid-70s a new audience starting finding Benson. His 1976 LP Breezin’, which became the first jazz album in history to be certified platinum, and eventually went triple platinum. The album won him three Grammy Awards, including record of the year for the LP’s single, the Leon Russell-penned This Masquerade (an at the time rare example of Benson’s vocal ability). That same year, Benson appeared on Stevie Wonder’s landmark Songs in the Key of Life. The following years were Benson’s most significant, achieving a number of huge hits – including the original recording of The Greatest Love of All, later covered (in a lesser, more schmaltzy arrangement) by Whitney Houston, for the soundtrack to the Muhammed Ali biopic The Greatest. He has undoubtedly remained one of the most influential musicians of his generation. When he rolls up to the Philharmonic Hall in June, we’ll get to see what a real legend looks like. 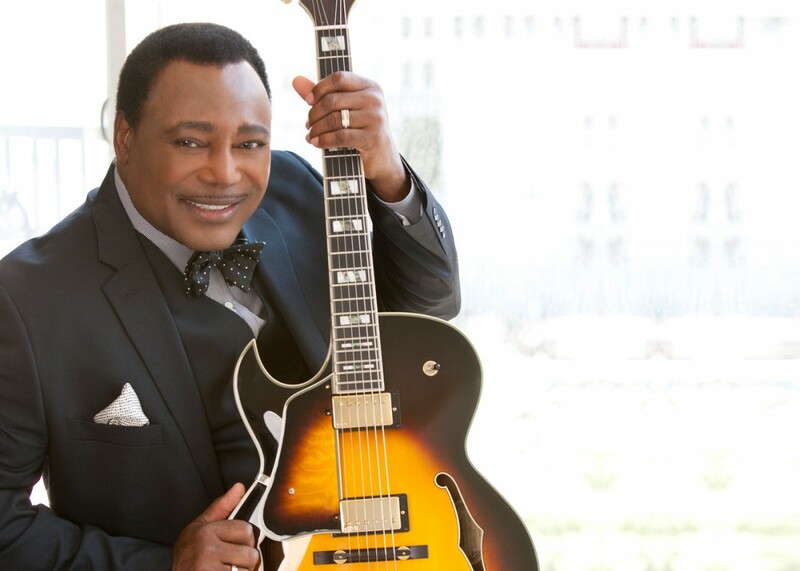 George Benson plays Liverpool’s Philharmonic Hall on Monday, June 20 2016. Tickets on sale Friday.